For a stylish and functional way to keep your bracelets, necklaces, and more in place, consider our selection of jewelry clasps from Regaliz! These magnetic clasps for leather are made from zinc or pewter and electro-plated in 99.9% pure sterling silver, brass, or copper. 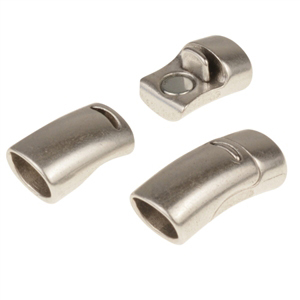 Certified lead and nickel-free, these Regaliz clasps are a great option as necklace clasps, bracelet clasps, and more.